The Kindle Fire is Amazon’s self-proclaimed “most successful product ever” and was the second best-selling tablet in 2011, after Apple’s iPad 2. Confirming the Kindle Fire’s success, investment bank Stifel Nicolaus analyst Jordan Rohan stated that Amazon’s $199 tablet had “defined and dominated” the lower end of the market. Rohan attributes the popularity of the device to Amazon’s loyal customer base and attractive pricing, which puts the Kindle Fire at an advantage to its multiple Android rivals. 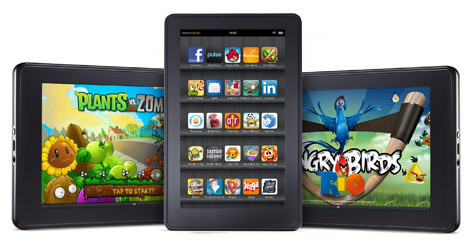 First quarter shipments of the Kindle Fire are estimated at 6 million units, in comparison to 15.3 million iPad 2 shipments in the same period.